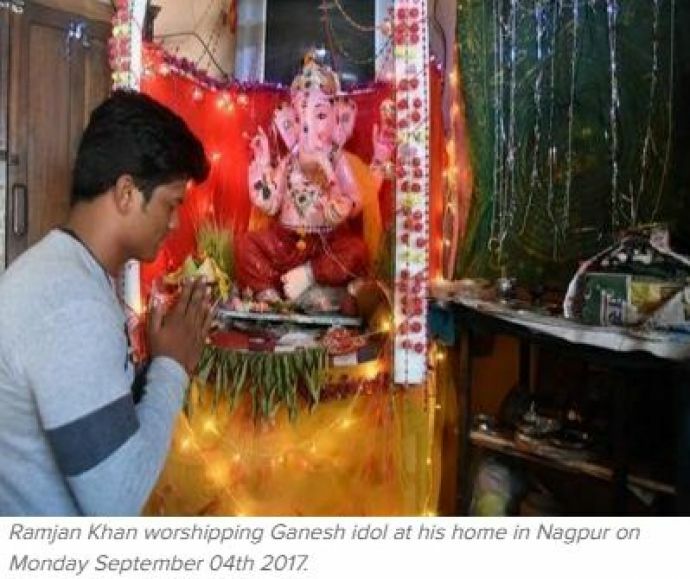 Noorjaha's family has been celebrating Ganesh Chaturthi for 5 years now. If the story of Sikhs in Dehradun offering the Gurudwara to the Muslims to recite Eid namaz did not move you, then we’re sure this story closer home surely will. Meet Noorjaha Khan’s family from Panchvati Nagar. 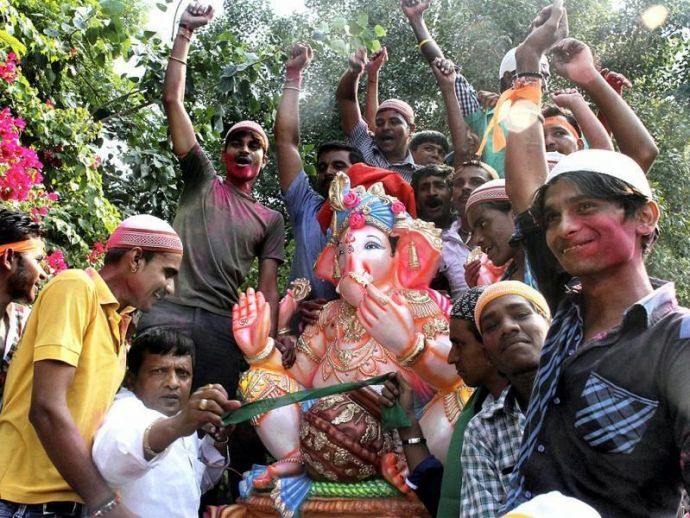 The Muslim family welcomed Bappa this year too, making it the fifth time in a row. Ask her what got her starting this tradition, she quips, "My mother used to see Ganpati in her dreams and then expressed her wish to bring Bappa home. We agreed and have been celebrating the festival ever since." Jaggi Vasudev’s quote ‘Devotion is not about a God. Devotion is about you making your emotions so sweet that your life experience becomes beautiful’ is exemplified through Noorjaha’s devotion. "I have never lived in a fully Muslim or Hindu locality. I have always celebrated all festivals, regardless whether they fall in the Hindu or Muslim calendars. All my friends and acquaintances know that Bappa comes to our home too. We don't discriminate," she adds. In the first year of the celebrations, Noorjaha organized a feast for friends and family. Ever since then, she has been keeping up with the custom every alternate year. This being the fifth year, a feast was organized last Saturday. Friends of Khan and her brother, along with family’s relatives were invited. However, it is the instance of how Khan’s family postponed the Eid celebrations that will melt your heart. Since, it was after many years that Bakri Eid coincided with Ganpati, the family agreed upon putting off the Eid’s non-vegetarian spread until the end of the Bappa ‘s stay. 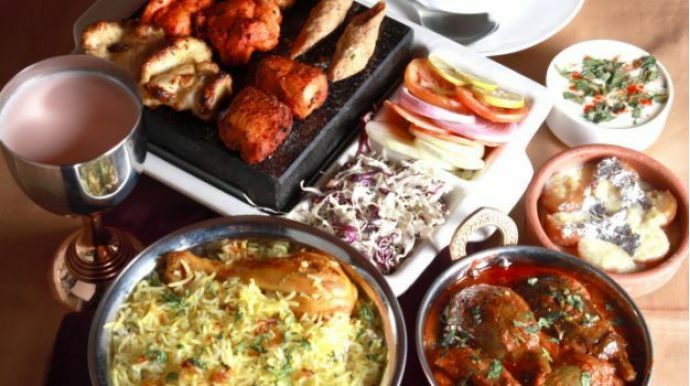 Khan said, "We decided that our cravings for mutton or fish could wait. Our devotion is strong." The Khan family will be bidding adieu to Bappa on Tuesday. The extended family does not participate in the Aartis and rituals, but they do make it a point to pay their visits to the deity. "We don't oppose any religion, and we believe in every God," she says, adding that Diwali is also a festival she looks forward to. "I also bow my head at temples," says Noorjaha as she signs off.